The recipe I am posting today is not of baklava by the way. 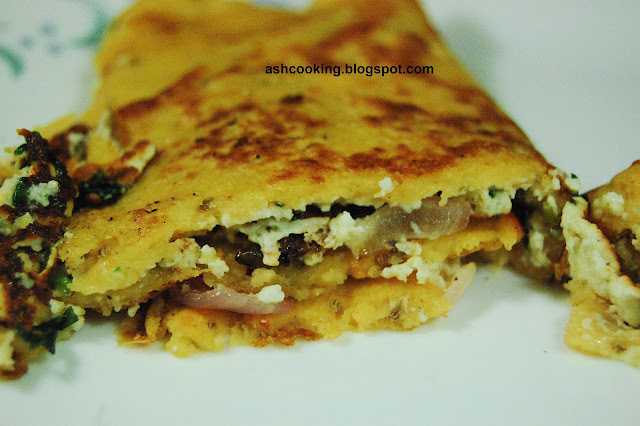 It's of Paneer Ka Chilla that I recently learned from a friend. Chilla in English means pancake. 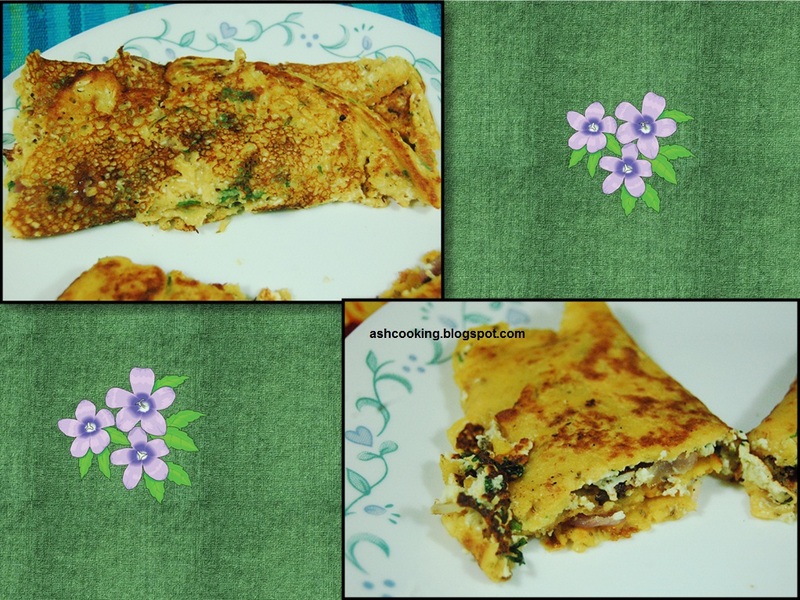 Paneer pancake is quite versatile in preparation. You may toss various ingredients into it....egg, spinach, milk and semolina apart from the ingredients I have already touched upon. As I fancied, I pureed the tomatoes and mixed it into the batter, but in case if you prefer tomatoes in the filling, then chop them into bite size pieces and add them into the mixture for the same. 2) For the filling, mix the ingredients and keep aside. 3) Heat 1 tsp oil in a non-stick skillet. Spread a ladleful of the batter across the skillet. Before the surface hardens, quickly spread spoonful of the filling uniformly on top so that the filling sticks to the pancake or else it might splatter while you turn the pancake over. Allow the pancake to become slightly brown in color on one side before flipping and frying it from the other side. 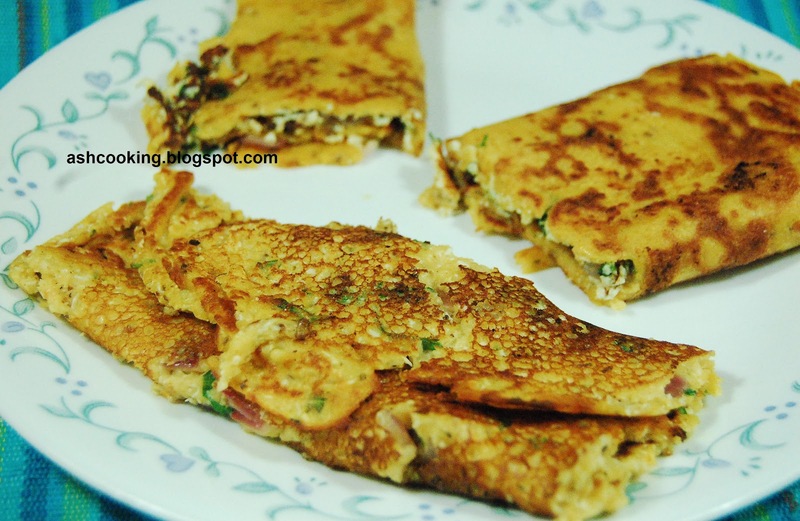 4) When the pancake from both the sides turns golden brown in color, roll it up and serve with green chutney or tomato sauce.